All Prices Do Not Include Taxes. 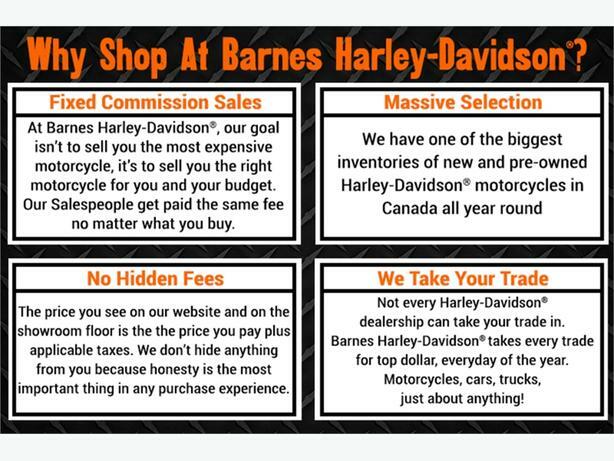 Financing Available And Trade In's Are Always Welcome. Freight / PDI & Doc Fee Included. 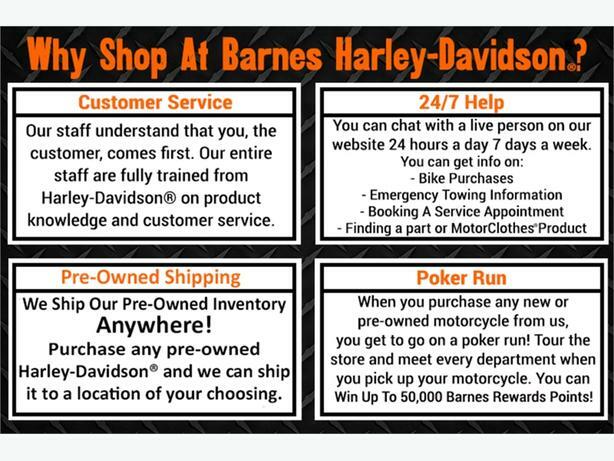 For Your Convenience, Take Delivery Of This Motorcycle At Any Of Our Barnes Harley Davidson Langley, Victoria or Kamloops Locations. Ask Today. 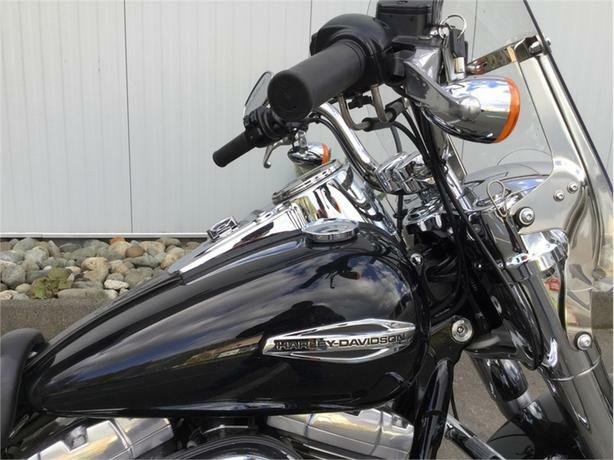 The 2012 Harley-Davidson® Dyna® Switchback(TM) FLD with detachable saddlebags and windshield is perfect for both cruising and touring. It's like having two bikes in one. 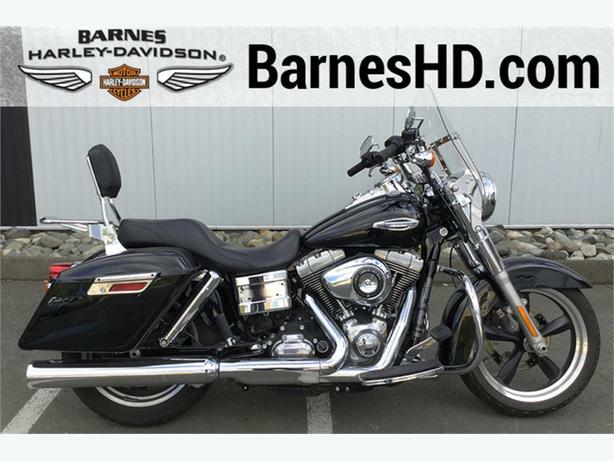 Its sports a contemporary look deeply rooted in classic Harley-Davidson® style of the 1960s. A powerful Twin Cam 103 Engine(TM), with smooth shifting Six-Speed Cruise Drive transmission. Its light weight chassis and cast aluminum wheels give the Switchback(TM) FLD a light-weight, easy-handling feel. 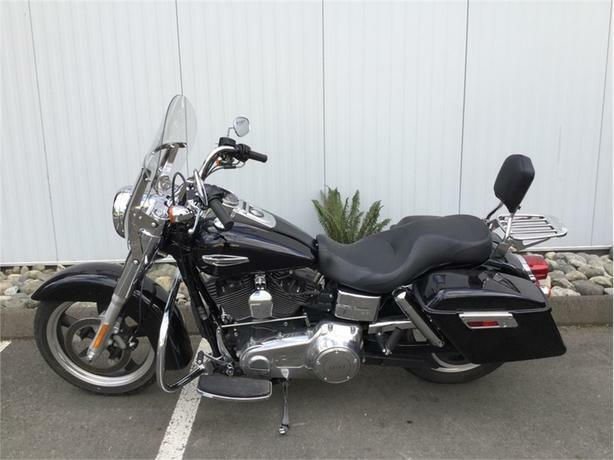 Its 2-into-1 exhaust recalls classic Harley-Davidson® street rod styling, as do its cigar-tube rear shock absorbers, chrome headlight nacelle, fork-covers and mini ape hanger handlebars. The Dyna® Switchback(TM) FLD combines touring comfort and cruising performance in a light-weight, easy-handling powerhouse. 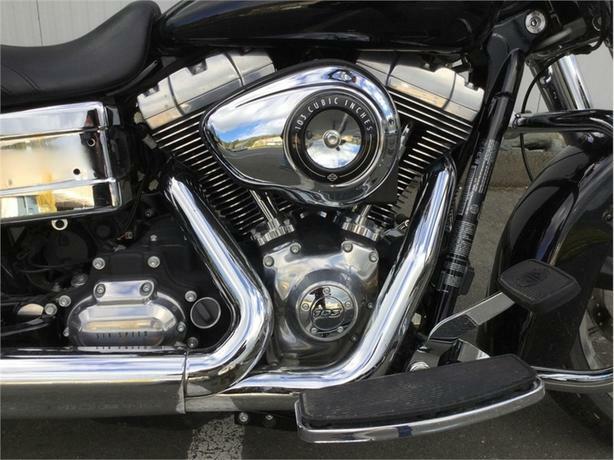 It's a modern version of vintage Harley-Davidson® style. A union of opposites that sacrifices nothing, the Switchback's modern styling brings vintage Harley-Davidson® simplicity to today's roads in a look that defines classic: both true to its roots and completely contemporary. 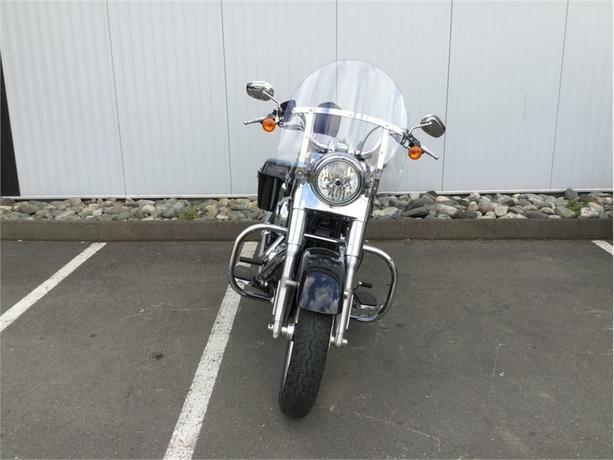 And with its detachable windshield and saddlebags, it's like having two bikes in one: a powerful, head-turning street cruiser that can also go the distance as a comfortable, easy-handling tourer. These full fenders do more than keep the mud off during your long-hauls-they add to the Switchback's unique, classic-contemporary profile. 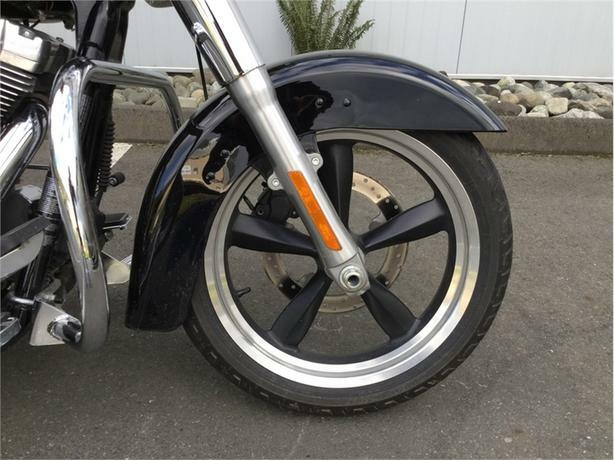 And neither are the 5-spoke hot-rod wheels just for show: they may be eye-catching, but their cast aluminum construction and balanced engineering enhance the bike's confident handling.